You are here: Home / Food / Is Your Salt Real? Natural sea salt comes from evaporated seawater and is harvested all over the world. Unprocessed sea salt is often grayish-white, sometimes pink or orange. These salts can be washed, re-evaporated or roasted. We use locally-produced natural sea salt, which we prefer to commercial salts that often have additives. 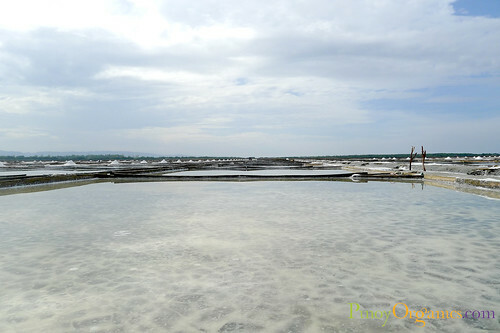 One of the best Philippine natural sea salt is produced in the southernmost tip of the Island of Mindoro and is harvested by hand from clay-lined salt beds fed by the sun and sea. Most consumers are familiar only with the refined, processed and white iodized salt found in supermarkets. 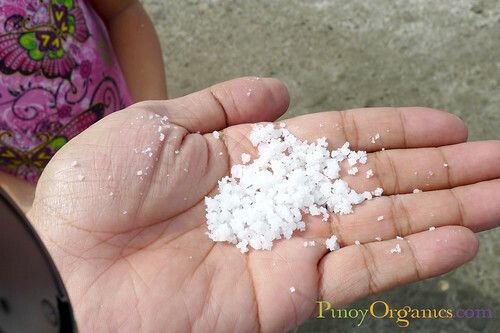 Filipinos have the impression that the rock salt in public markets are all-natural. They’re not. It was only recently that we discovered that all salts sold in the Philippines are iodized. Non-iodized salt is only available in health shops and from suppliers of raw materials for spas. 1. Most are light grayish white in color. 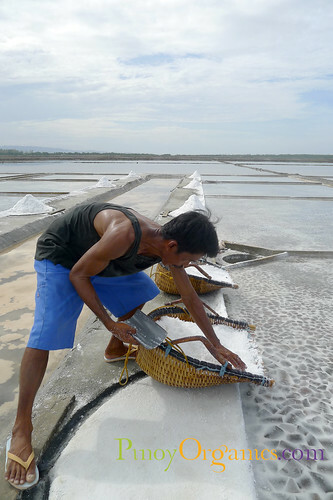 In Pangasinan, they also produce “pink salt” which is very popular with chefs and gourmands in New York. 2. It is moist to the touch and retains moisture even when kept in storage for long periods. 3. It is formed of small cubic crystals. These three characteristics not only prove the natural sea salt’s integrity and wholeness but also guarantees its effectiveness in building, maintaining or restoring optimum health. 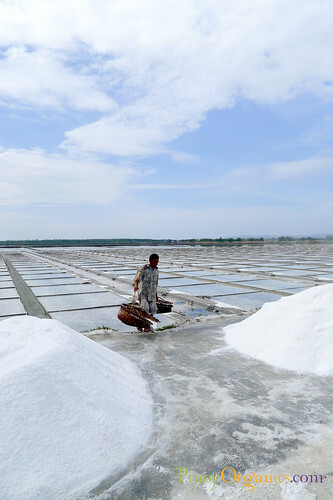 So, how is natural sea salt produced here in the Philippines? Have you tried adding a pinch of natural sea salt to your coffee? Try it and let us know what you think. You may call 0922 801 7369. Look for Bea. We read somewhere that bathing baby’s eyes with a sea-salt solution will help the eyes remain free from discharge. It has a cleansing and mild antiseptic property which will help cure the infection. This is great find, Jhoey! We really need these kinds of everyday natural food. I appreciate your efforts in bringing out the best filipino natural products. Thanks for your words of encouragement, Eds. 🙂 Hope to see you again soon. A strong concentration of salt in the water is bad for the eyes. It is highly irritating and painful. One half (1/2) teaspoon of salt in one (1) cup of clean water is the suggested concentration. Thanks for this info, Rudykint!